One of the most exciting things about a major iOS update is the discovery of new glitches, or even just finding ways to replicated the old ones that we've come to love so much. One of these is the glitch that lets you nest folders within folders on the home screen, which can save some major screen real estate. While this glitch was available in both iOS 7 and iOS 8, the process is slightly different in iOS 9, but you still have a couple options to choose from. Don't Miss: iOS 9 Flaw Exposes Photos & Contacts—Here's the Fix! To get started, designate a folder as the folder you'll be placing the other into; let's call this one the "master folder." 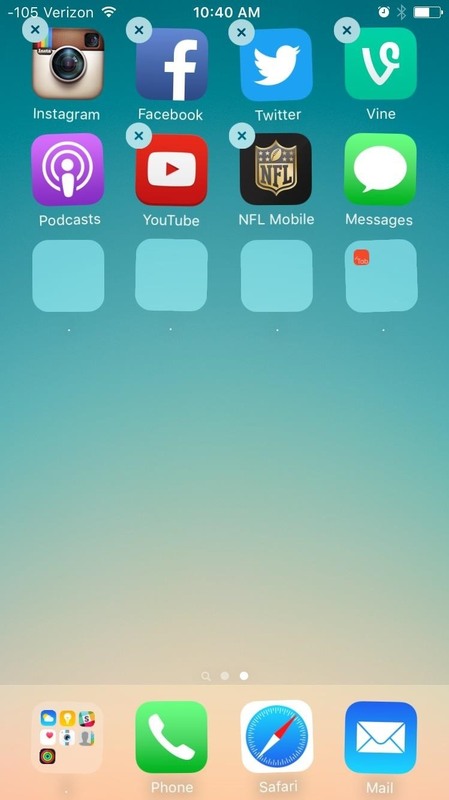 Personally, I've had more success with this glitch by placing the master folder in the top row somewhere on my screen, particularly the top-right corner, but this may not be the case on your iPad, iPhone, or iPod touch. 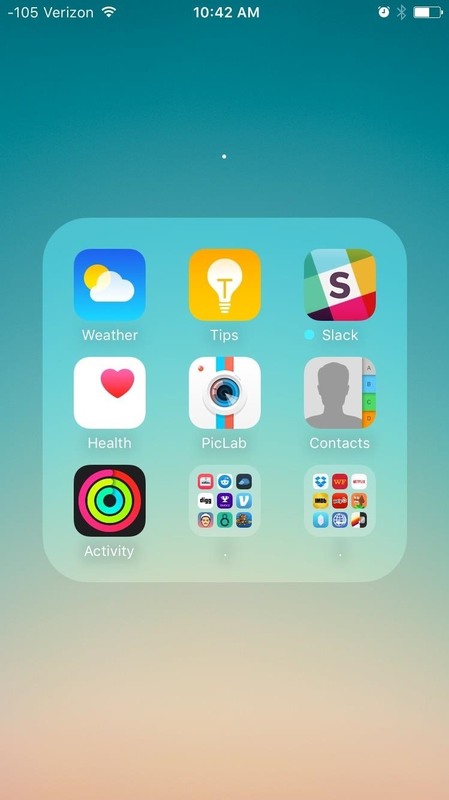 You may be able to place the master folder anywhere on your home screen, or not even move it at all. Tap and hold on any app or folder to enter editing mode. Tap and hold on the folder that you want to move into the master folder. While holding the folder, continuously tap on the master folder. Eventually, the master folder will open up. Drop the folder you've been holding down on within it. 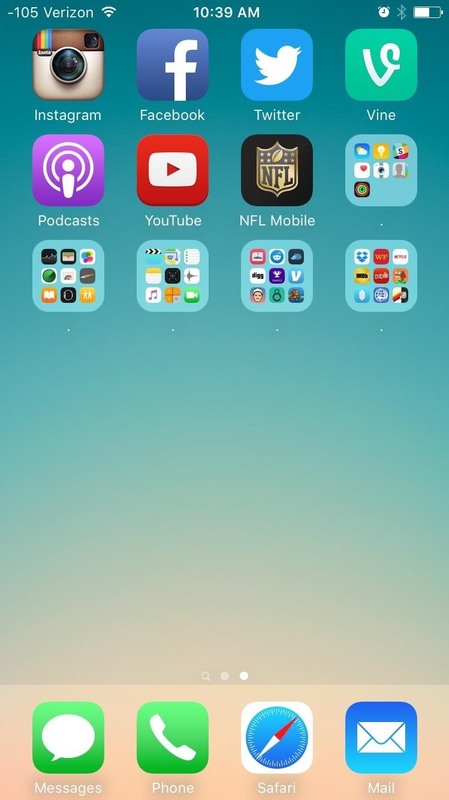 Continue to use this trick to rearrange other folders on your home screen. When ready, save your changes by pressing the Home button. Enter Settings -> General -> Accessibility -> Reduce Motion, then make sure to toggle it on. You can toggle it back off once you're done, but this reduces the parallax effect present when entering apps and folders. The next thing to do is place a folder in the dock—it doesn't matter where in the dock. Tap and hold on an app or folder to enter editing mode. 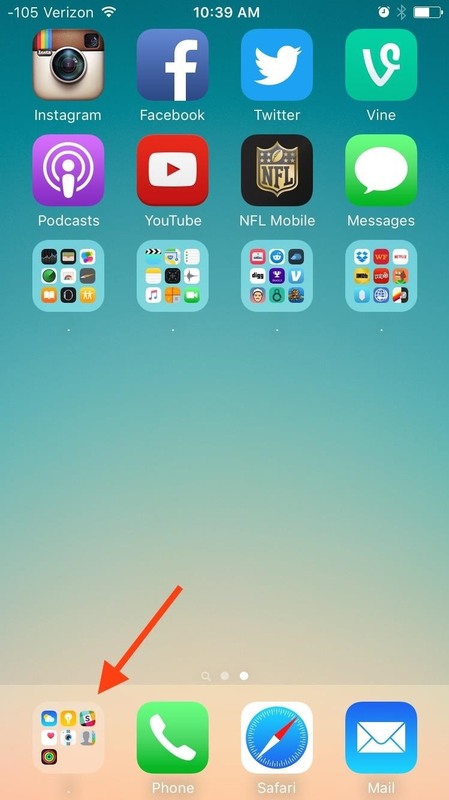 Continuously tap in the area of the dock where the folder is so you repeatedly move in and out of the folder. 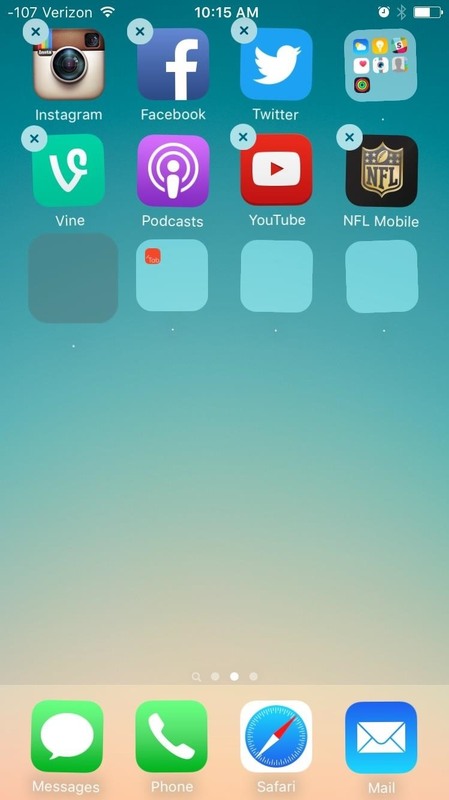 As you move in and out of the folder, attempt to tap and hold a different folder on your home screen. Move the folder in the one you've been continuously tapping and save the changes by pressing the Home button. Make sure to watch the video embedded above for a better understanding of these two methods. After you master these tricks, it's time to organize your folders even more by utilizing this glitch to remove folder names. Hey yo! So i really enjoy nesting folders in folders! it is great for aesthetics and super convenient! However! every time my phone runs out of juice it pushes all of the folders out onto my home screen!! any fix for this!? Thanks!